Abortion is 20 times more dangerous on TV than it is in real life. 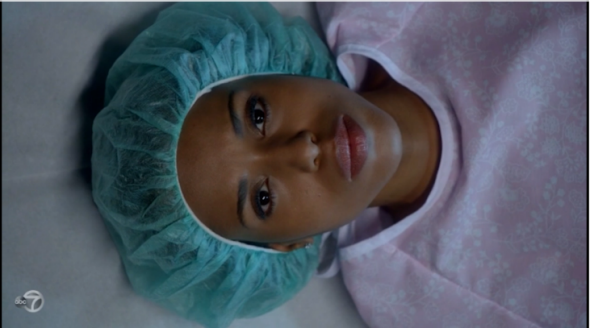 Scandal offered one of the few realistic onscreen depictions of a remarkably safe procedure. When a woman on TV experiences an unplanned pregnancy, the story usually goes one of two ways: She discovers it’s an unexpected blessing and opts to keep the baby, or she has a miscarriage, dodging the decision-making process altogether. Occasionally, she elects adoption or decides to terminate her pregnancy. If she gets an abortion, more than four times out of 10, something’s going to go wrong. A new study from Advancing New Standards in Reproductive Health (ANSIRH), a California-based reproductive-health research group, found that 42.5 percent of the abortion storylines on TV from 2005 to 2016 included a “complication, intervention, or major health consequence”—more than 20 times the actual rate of abortion-related complications. Five percent of them ended in the death of the patient, a rate about 6,850 times higher than the mortality rate for abortion in the U.S. Researchers found 80 abortion plots that aired on television in the past decade, on shows including Jack and Bobby, The Walking Dead, Quantico, Law & Order SVU, Nip/Tuck, and House, MD. In 28.8 percent of them, characters ended up with long-term health consequences like infertility or severe depression. Three women, or 3.8 percent of characters, had to get a hysterectomy as a result of a botched abortion; in real life, 0.004 percent of U.S. abortion patients end up needing a hysterectomy. Four characters died, compared to 0.00073 percent of abortion patients nationwide. In one regard, this isn’t surprising at all. Communications consultants commit far more felonies on Scandal than they do in real life, and soap opera characters don’t present a realistic cross-section of amnesia patients, but both make for useful plot twists and entertaining television. On the other hand, abortion is a heavily politicized procedure that’s been shrouded in secrecy and shame despite the fact that about one in three women will have one in her lifetime. TV shows that turn a routine medical service into a life-threatening risk are shaping the way millions of Americans imagine a procedure they know very little about. Pop culture depictions of abortions as a dark, dangerous deed may be one reason why 68 percent of registered voters polled last January disagreed with the statement that abortion is “very safe.” The poll, administered by Vox and PerryUndem, found that only 19 percent of people knew that having an abortion is safer than giving birth, and 9 percent knew it is safer than getting a colonoscopy. Patients are more than three times more likely to incur complications from getting a wisdom tooth removed than from an abortion, but only 8 percent knew that abortion is safer. This knowledge gap matches up neatly with views on policies that restrict women’s rights to abortion care. In the Vox poll, only 14 percent of respondents who favored laws that require abortion clinics to meet the specifications of ambulatory surgical centers (like the Texas law that the Supreme Court declared unconstitutional in 2016) said they considered abortion “very safe,” and 90 percent thought the procedure lasted longer than it actually does. Lawmakers pushing anti-abortion legislation often cloak their bills in claims of protecting women’s health and safety, a narrative the Supreme Court exposed as a sham in its Whole Woman’s Health v. Hellerstedt decision last summer. Though most people don’t know it, abortion is remarkably safe. For many women, it’s also a no-brainer that doesn’t require the ethical self-interrogation with which so many films and TV series saddle their abortion-seeking protagonists. The best representation of this experience in recent memory is Olivia Pope’s abortion on Scandal in 2015. Pope terminated her pregnancy without fuss or fanfare and ended up safe on her couch, comfortable and smiling, after an uneventful procedure. OB-GYN Jennifer Conti wrote in Slate that it was “a rare realistic depiction of abortion” in a TV industry that loves to see women struggling with the moral implications of abortion or suffering the dire consequences of her choice. In the real world, medication is quickly catching up to surgery as the most common abortion method, with 43 percent of abortions in 2014 administered through pills. Soon, the most realistic abortion on TV may be one taken with a glass of water.